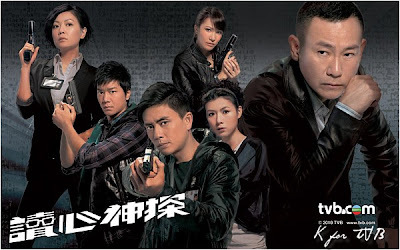 Crime Unit Senior Inspector, YIU HOK-SUM (Bowie Lam) has learnt his mind reading skills overseas. He is efficient and, by far, the most competent cop in his unit. He is able to analyze and read people’s minds just by observing their body language, facial expressions and from the tone of voice. In addition, he is also highly skilled when spotting disparities in testimonies and evidence. However, his teammates find him to be a real pain in the neck. New comers, YIP CHIN-TING (Krystal Tin) and HO LAI-YIN (Bosco Wong) are especially annoyed by the unconventional way in which he does things. As a result, the pair often has confrontations and misunderstandings with the inspector. Things become worse when SUM learns that his half-sister, CHING PUI-YEE (Aimee Chan) is secretly going out with LAI, and that TING, who has recently been divorced, has a crush on him.